A home energy rating will consider: the construction & materials of the home, insulation levels, window/door types & efficiency, the window/door to wall area ratios, appliances and lighting (including the water heater), mechanical system (heating and cooling), the orientation of the house, the size of the conditioned area in square feet, and the leakage or air infiltration of the home envelope and duct work. The Home Energy Rating is completed from on-site visits using test equipment like the blower door and duct blaster and from blueprints on new homes. Our Homeowners receive a HERS certificate at closing. What is a HERS Rating? 49! What does mean for our home owners a utility bill under $70.00/Month for a standard 3,700 Sq. Ft. Home. A Home Energy Rating or HERS rating will very soon become a standard part of every real estate listing allowing buyers to directly compare the efficiency of one home to another (similar to the way they compare MPG when shopping for a car). A home energy rating involves an analysis of a home’s construction plans and onsite inspections. Based on the home’s plans, the Home Energy Rater uses an energy efficiency software package to perform an energy analysis of the home’s design. This analysis yields a projected, pre-construction HERS Index. The rater conducts onsite inspections, typically including a blower door test (to test the leakiness of the house) and a duct test (to test the leakiness of the ducts). 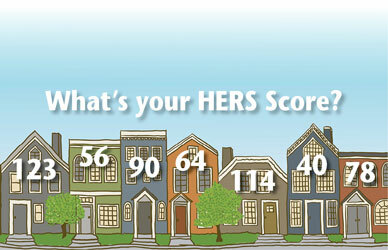 Results of these tests, along with inputs derived from the plan review, are used to generate the HERS Index score for the home (source: energystar.gov). Our Homeowners receive a HERS rating certificate showing the HERS rating index score. The lower scores mean higher energy savings. The average home rates at 130, Energy Star rated homes must achieve a score of 85, South Georgia new built homes have a score of 110. Our homes rating score are significantly better at low 50's! You will not find a builder in South Georgia or North Florida with a lower HERS SCORE! and in Georgia you will not find a builder building high performance homes at all. Please ask your local Realtors what they mean when they say a home is Energy Efficient, because an Energy efficient home is test and documented by nationally recognized system for inspecting and calculating a home's energy performance. Duct system are not leak free. And we can Guarantee that new homes being built in Thomasville are not leak FREE. Attics are not a good place install A/C Unit or ducts - But Other builders do it anyway. WE DO NOT! All Capital Home Builders Homes, meet or exceed the standards for: "Green" certification by The Green Building Council-Georgia, high performance Homes certification, and The United States Department of Energy's Building America Challenge. 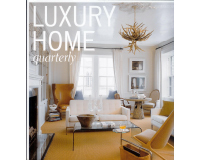 And we are the only builder achiving 54 HERS score Rating on our homes. Take a deep breath! All of our interior paint is virtually odor free and without VOC's (Volitalie Organic Compounds) and meets or exceeds the most stringent regulatory requirements, for better, healthier, breathable air. By blocking 100% of the Sun's UV rays, these double pane, vinyl framed windows have an invisible low-E film, that keeps the heat out while letting the light shine through. The vinyl also helps to prevent condensation, which leads to mold. This extra efficient air conditioning system is designed and placed inside the "thermal envelope" of the home for maximum comfort and efficiency. It also exceeds federal and state energy code requirements; code minimum in the state of Georgia is a 14 SEER. Reduces noise and increases energy efficiency. Eliminates unnecessary heating and cooling. An aluminum barrier on the underside of this home's roof reflects heat from the Georgia Sun keeping the attic and your home significantly cooler and more comfortable, reducing heat transfer by up to 40%. Exceeding state insulation requirements by over 58%, R-38 blown-in insulation provides a better barrier and superior protection from hot and cold air loss. Insulation slows and reduces the amount of heat transfer into and out of a home. The cellulose wall insulation system is the only insulator that provides R-21 protection in a typical 2x6 wall: keeping your home more comfortable and saving you money. We are the only builder in Georgia and north Florida using 2x6 exterior walls construction in all of our homes. Also know as Demand water heaters, tank-less water heaters only produce hot water when needed, reducing the amount of standby energy used to heat water with more common, storage water heaters. Tank-less water heaters can be 24-34% more efficient, according to Department of Energy. A programmable thermostat allows you to set the temperature of your home throughout the day or when you away: one of the easiest ways you can save energy, money, and help fight global warming. A home's "thermal envelope" (think of your home like a thermos, where a tight seal is optimal) is one of the most vital components of energy efficiency. By using advanced framing techniques like sealed attic knee-walls and ladder framing our homes are designed, built and tested to ensure the tightest "thermal envelope". Prevents moisture damage, reduces heat loss and gain, and controls indoor air quality. The goal of sealing openings is to have a continuous and effective air barrier. It is normal to have small openings in a new home, what really sets builders apart is how they deal with the openings. Capital Home Builders uses expanding foam, which can also be used as an insulation material, to ensure all leakage is a minimum in your new home. This revolutionary ventilation system introduces fresh, clean air into the home, keeping hot, dirty air outside, while maintaining positive pressure, improved indoor air quality and heightened efficiency. These light bulbs use less energy and money, give you the same amount of light, last longer and produce considerably less heat; keeping your home cooler while saving you money. All Capital Home Builder homes are built to the Florida building Code, We are the only builder in Georgia that builds with dvanced framing and home that withstand over 150mph winds. We are also the only building in Georgia and Florida that builds with 2x6 studs 10' foot wall and straps our 2x6 studs from top to bottom. 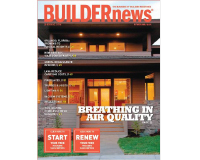 In the construction industry anyone can claim they are building energy efficient homes. Having the home energy tested proves that the homes are energy efficient and meet certain required standards and ratings.